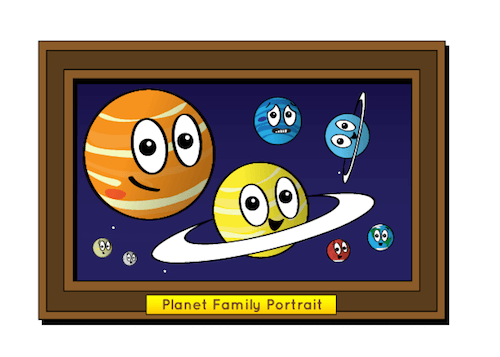 The eight planets in our solar system differ in lots of ways. They are different sizes. They are different distances from the sun. Some are small and rocky, and others are big and gassy. But they're all nice and round. Why is that? Why aren't they shaped like cubes, pyramids, or discs? Planets form when material in space starts to bump and clump together. After a while it has enough stuff to have a good amount of gravity. That's the force that holds stuff together in space. When a forming planet is big enough, it starts to clear its path around the star it orbits. It uses its gravity to snag bits of space stuff. 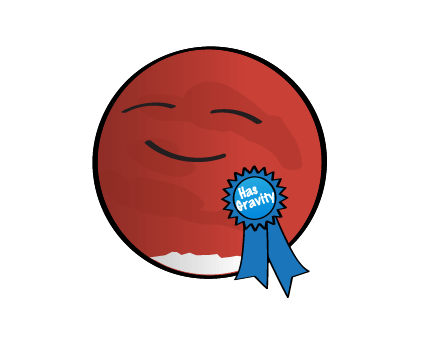 A planet's gravity pulls equally from all sides. 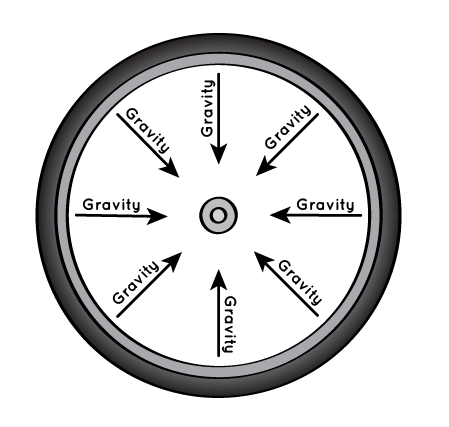 Gravity pulls from the center to the edges like the spokes of a bicycle wheel. 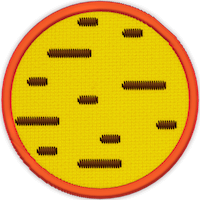 This makes the overall shape of a planet a sphere, which is a three-dimensional circle. But some planets aren't quite so perfectly round. Saturn and Jupiter are bit thicker in the middle. As they spin around, they bulge out along the equator. Why does that happen? When something spins, like a planet as it rotates, things on the outer edge have to move faster than things on the inside to keep up. This is true for anything that spins, like a wheel, a DVD, or a fan. Things along the edge have to travel the farthest and fastest. Along the equator of a planet, a circle half way between the north and south poles, gravity is holding the edges in but, as it spins, stuff wants to spin out like mud flying off a tire. 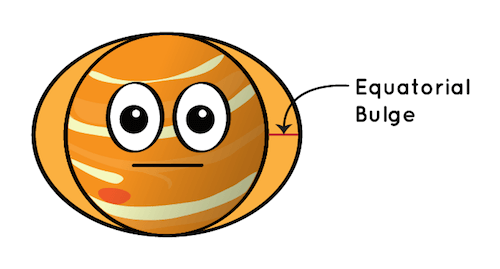 Saturn and Jupiter are really big and spinning really fast but gravity still manages to hold them together. That's why they bulge in the middle. We call the extra width the equatorial bulge. Saturn bulges the most of all the planets in our solar system. 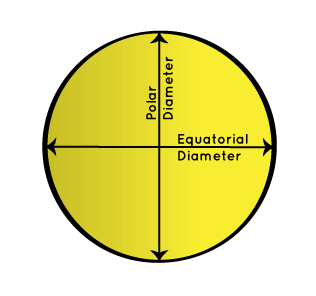 If you compare the diameter from pole to pole to the diameter along the equator, it's not the same. Saturn is 10.7% thicker around the middle. 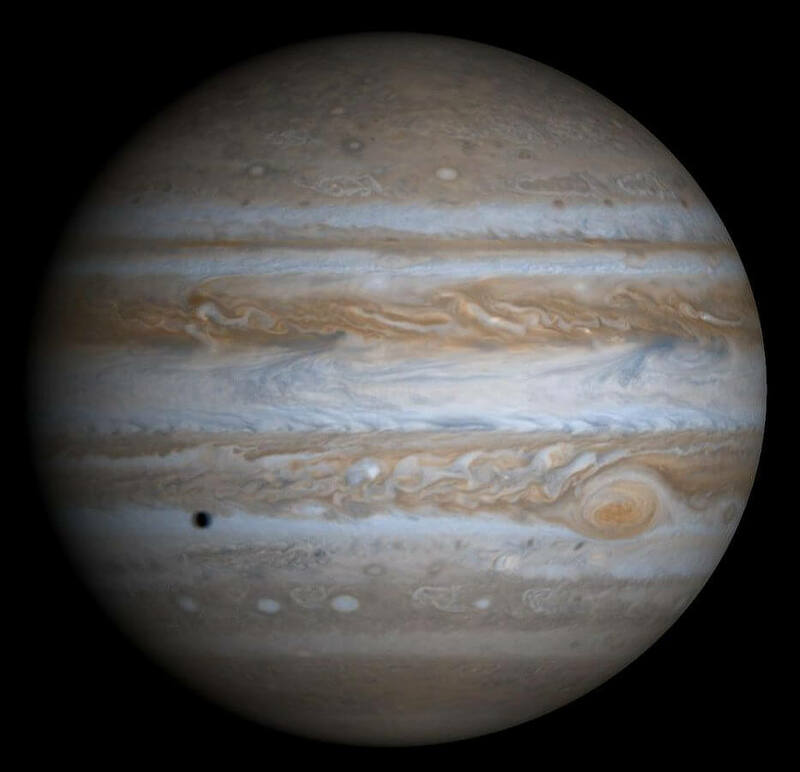 Jupiter is 6.9% thicker around the middle. Instead of being perfectly round like marbles, they are like basketballs squished down while someone sits on them. 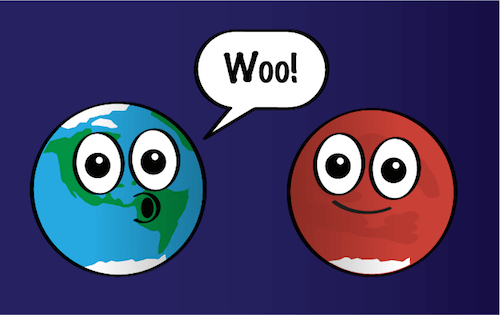 Earth and Mars are small and don't spin around as fast as the gas giants. They aren't perfect spheres, but they are rounder than Saturn and Jupiter. Earth is 0.3% thicker in the middle, and Mars is 0.6% thicker in the middle. Since they're not even one whole percentage point thicker in the middle, it's safe to say they're very round. As for Uranus and Neptune, they're in between. Uranus is 2.3% thicker in the middle. Neptune is 1.7% thicker. They're not perfectly round, but they're pretty close. Do you want to know what it's like to be a spinning planet? You can feel it when you spin around in place. First, make sure there are no obstacles around that you might bump into. Then either while standing, or in a spinner chair, spin around in circles. Hold your arms close to your body, then extend your arms out. Move your arms in and out and feel the difference. When your arms are outstretched, your hands have to move faster than your shoulders to keep up, so you'll feel more force on them.